"We want our teachers to have access to the best digital tools and resources and the best quality superfast broadband. We have listened to the feedback we’ve been receiving from schools and I’m very pleased that, as a result of their feedback, we will be rolling out Google for Education in 2018. This will give our teachers a much wider range of digital tools and resources and will lead to greater collaboration and communication within the classroom." No date for the implementation was mentioned, only that teachers will "soon have more choice about the digital tools they use". As I outlined in my post at the end of October, it looks like G Suite for Education will probably be brought in April 2018, albeit without GMail. This caveat causing much comment among colleagues and slight concerns for the functionality of the G Suite platform within Hwb (see comments at end of the October post). I still can't imagine existing G Suite for Edu schools moving their data for Hwb to manage, for several reasons. 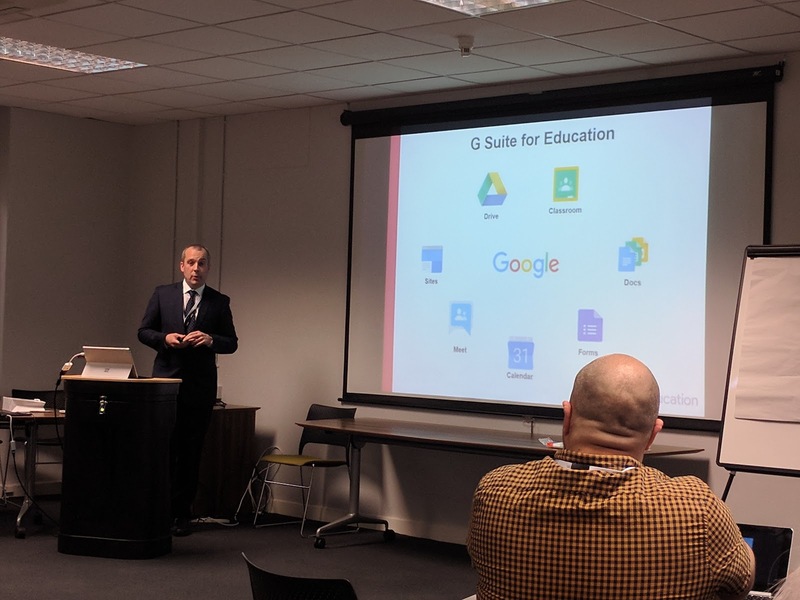 However, for those schools who are currently using Hwb O365 with their pupils I predict there will be a big move towards the use of G Suite, especially when they see how easy it is to use Google Classroom. This brings me neatly onto Hwb+. As some of you are aware, I've been blogging about Hwb+ for some time now. It's been pretty clear for at least the last two years that its days were numbered. Hwb / Hwb+ were launched with much fanfare in December 2012 with it being heralded as transforming the way schools "communicate with learners and their parents, through their own Hwb+ individual learning platforms." At the time, education minister, Leighton Andrews, spoke of a "world class system" and Hwb+ being described as a secure area which only schools and colleges(?) can access. However, the hype certainly didn't live up to the experience in schools. Eight digital leaders were employed by the Hwb team to support its roll out across Wales. I have a lot of time for these men and women and each deserve a medal the size of dinner plates because their their job was difficult to say the least. It was their role to deliver training to key members staff from each school in Wales, typically the ICT coordinator and head teacher. If my memory serves me well, this was carried out over about four days. I don't think it would be too unfair to say that the majority of ICT coordinators leaving the training never went near Hwb+ again. Not because of the training, but because of the tool itself. I attended the training and left with a 120 page book on how to use the platform. A book that I would have to refer to to carry out the simplest of tasks, e.g. insert a video, upload a photograph. I like to think of myself as fairly computer savvy, but I struggled. This certainly wasn't a platform that was intuitive. In my opinion the 'Hwb brand' was severely tarnished after the round of training and has taken some time to recover. Some could argue that the contracting of CDSM to redevelop the Hwb platform and with the introduction of new tools, might have rescued the project for the Welsh Government, if not breathed some life back into it. About 18 months ago the digital leaders contracts finished, removing what expertise there was in showing schools how to effectively manage and use Hwb+. Local and regional consortia seemed to refocus onto Just2Easy, Microsoft O365 and a variety of other new tools, with little input on Hwb+. Tools such as Hwb Classes were being introduced and then in June this year the announcement of Hwb+ workshops to "explore the current use of the Hwb+ learning platform" and wanting to "hear your views". All building to the announcement this week on the non-renewal of the Hwb+ contract when it runs out in August 2018. I don't think there'll be too many tears from schools in Wales at its demise. A final note on this saga - the cost. I've been scouring the web to find some reference to the cost to the Welsh Government of procuring this platform, but with no luck. However, looking at the figures available on this Welsh Government website, up until June of this year just over £8million has been paid out to Learning Possibilities. By next August I estimate this figure will be around the £9million. Maths was never my strong point, but that's what the spreadsheets seem to indicate. As far as I can tell that doesn't include the costs of the digital leaders who supported the project which would probably add another £1million to this figure. I'm sure some people will be looking closely at whether Hwb+ was value for money. It was interesting to read this on the BBC news website a couple of weeks ago, 'Computing in schools - alarm bells over England's classes.' At the heart of the report is that experts are concerned that since the introduction of the computing curriculum in England, there has only been a modest rise in students taking the new computer science GCSE. By 2020, the British Computer Society warns that the number studying for a computing qualification could halve. The other major concern is that only 20% of the entrants were girls, down from around 40% taking the previous ICT qualification. There were those at the time who were concerned with the change in focus of the curriculum and talked of, 'throwing the baby out with the bathwater'. As Drew Buddie says in the BBC article, he felt that ICT was unfairly maligned and was far more creative than its critics assumed, and that "it is clear that many 14-to-17-year-old students, particularly girls, are not attracted to such a specific and narrow course." To be fair, digital literacy and ICT elements are still in the English curriculum but all the emphasis appears to have gone into the coding aspect. This was pretty apparent during my recent visit to the Computing at Schools conference in Birmingham, where the overwhelming majority of keynotes and workshops were focused on coding, with little input on the other aspects of the computing curriculum. "Learning Computer Science is surprisingly hard." - CAS Conference, Birmingham 2017. I've written a some of posts over the last couple of years mentioning my concerns with the pressure that I could see coming from different quarters (including the BBC) for the introduction to coding. I have no problem with its introduction but wanted a sensible balance between it and digital literacy (see The Balance Between Coding and Digital Literacy and Restoring The Balance). Yesterday I listened to a presentation by a teacher who was involved with the development of the DCF (digital competence framework) and who is one of the digital pioneers working on the new curriculum. It was refreshing to hear him express similar views to myself. He talked about the importance of DCF for all our students, that being digital competent was an essential part of all our lives. 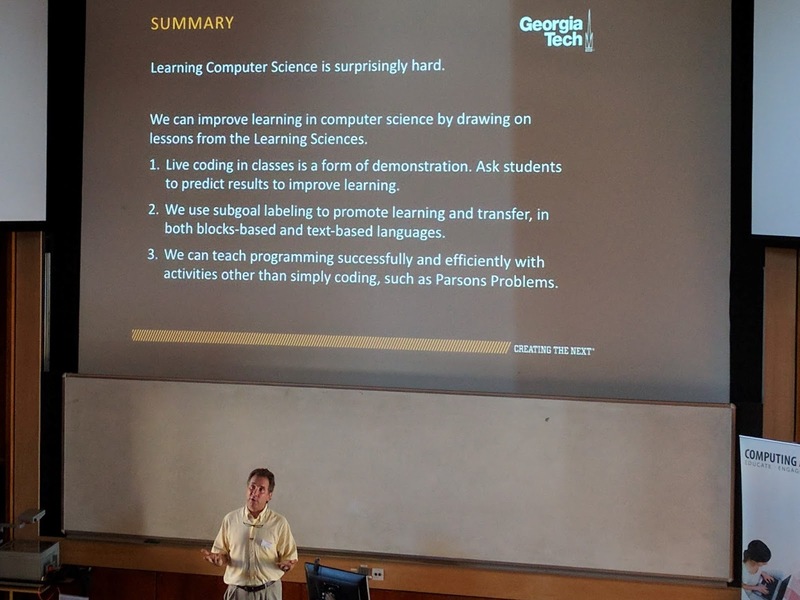 He explained to attendees that coding is not mentioned in the DCF (although Computational Thinking is) and that computer science will be part of the new Science and Technology area of learning and experience. I precis what he said somewhat, but basically being digitally competent is essential for all our young people, whereas computer science only appeals to a small number of students who then hopefully go on to become coders. If his views are similar to the rest of the digital pioneers, hopefully we will have the right balance in Wales. 5.7 The Hwb+ / provisioning contract with Learning Possibilities ends on 31 August 2018 and there is no contract extension option. 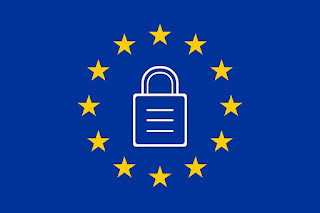 Officials are already exploring exit strategy arrangements to ensure continuity of service specifically around the provisioning service which underpins the user authentication for all Hwb services. 5.8 CO (Chris Owen, Welsh Government) outlined the current thinking around the next phase of the provisioning, authentication and user management for LiDW users. NDLC members stressed the importance of ensuring the replacement service offered high-availability levels as this is such a pivotal element of the programme. CO confirmed that this was fully understood and already part of the planning. 5.9 The other aspect of the contract with Learning Possibilities is the delivery of Hwb+, the individual school’s learning platform. Statistics indicate that there are low numbers of schools in Wales demonstrating embedded use of Hwb+ (e.g. 30 learners logging in once a day). 5.10 It was agreed that a sub-group of NDLC members would be established to explore options for engaging with stakeholders over their use of the Hwb+ platform. This information would be used to inform the next steps and to present options to the Cabinet Secretary for Education. 5.11 Any change in provision needs to be carefully managed and the Welsh Government will work closely with schools to minimise any disruption at the end of the current Learning Possibilities contract. 5.12 NDLC members queried whether a learning platform was required as blending the centrally offered services such as Hwb, J2e and Office 365 now potentially provides a range of suitable options. This will be considered as part of the engagement with stakeholders. 5.13 A draft stakeholder survey which would seek to find out what worked well and what didn’t work so well with Hwb+ is one option to engage. What have we learned from these minutes? Hwb+ - Another Nail in the Coffin? This post on the Hwb News page caught my eye this afternoon. In early July, the Welsh Government (WG) are running four Hwb+ Workshops to "explore the current use of the Hwb+ learning platform" and wanting to "hear your views" before planning the next steps in the LiDW programme. If you've read some of my previous posts about Hwb+ you'll know I've never been its biggest fan and in 'Gazing Into My Crystal Ball', suggested that maybe the contract for Hwb+ wouldn't be renewed. Dare I propose that the only reason these workshops are being held by the WG is that they already have a very good idea what the feedback from schools will be like - overwhelmingly negative. Therefore it appears that these events are an opportunity to gather further evidence of why the contract with Learning Possibilities for Hwb+ shouldn't be renewed in August 2018. I'd be extremely surprised, in fact astonished, if a different outcome arose from these events and from the national Hwb+ stakeholder online survey. This is another nail in the coffin for Hwb+. There was the loss of the Hwb Digital Leaders who initially supported schools in its national implementation; the ability to create classes and assignments within the Hwb platform and a perceived lack of regional consortia encouragement to schools to use Hwb+, focusing their efforts on other Hwb tools, therefore starving it of support. All of which, in my opinion, has helped to contribute to it probable demise. It will be interesting to see what happens over the next couple of months.